No-drill installation only takes 30 minutes. 4″ oval tubing – backed by 3 year warranty. 4″ oval tubing – backed by limited lifetime warranty. Bent bar ends provide a modern integrated look. 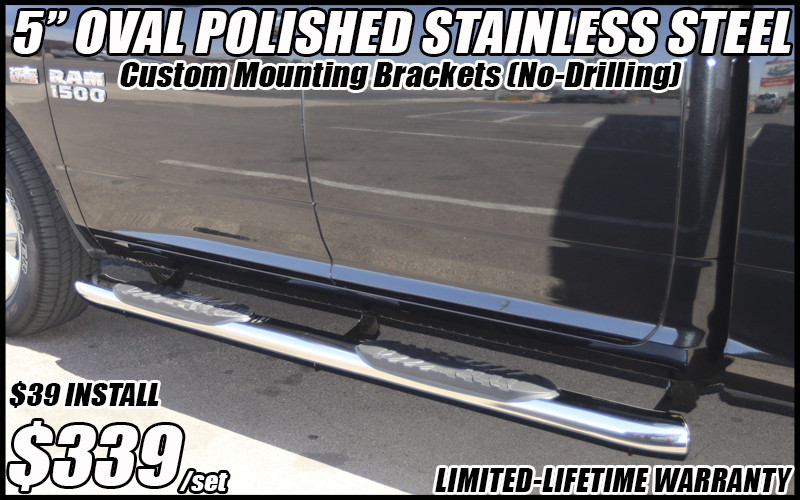 Truck Access Plus is the leader in running boards, nerf bars, and power steps installation for all pickup trucks, jeeps, and SUVs. 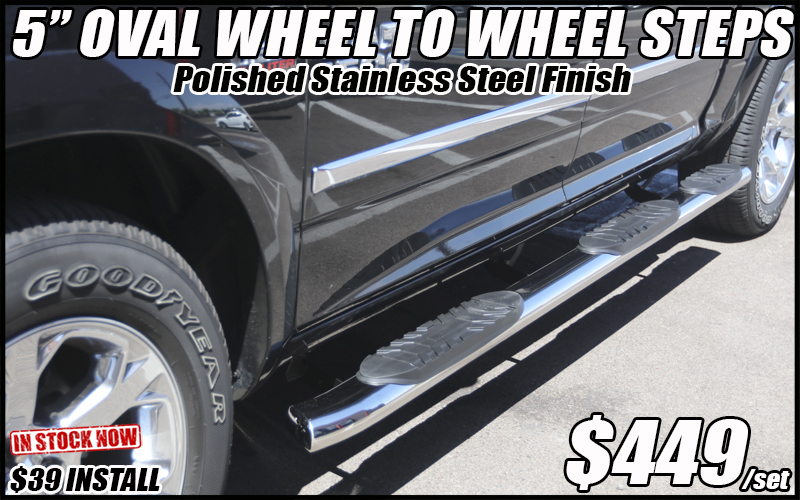 Whether you are looking for cab-length or wheel-to-wheel running boards, we have the side steps that will help you get into your vehicle or pickup bed. Located In Phoenix, Arizona Truck Access Plus provides the quickest service and best prices on steps for all vehicles!